Barrick Gold today announced it has made a proposal to the Newmont Mining Corporation Board of Directors to merge with Newmont in an all-share transaction, saying a combination of the two would form the world’s best gold company with unprecedented potential for value creation. Barrick President and CEO Mark Bristow said the proposed merger is expected to unlock more than $7 billion net present value (pre-tax) of real synergies1, a major portion of which is generated by combining the two companies’ highly complementary assets in Nevada, including Barrick’s significant mineral endowments and Newmont’s processing plants and infrastructure. “The combination of Barrick and Newmont will create what is clearly the world’s best gold company, with the largest portfolio of Tier One gold assets and the highest level of free cash flow to drive future growth and support sustainable shareholder returns, run by a management team with an unparalleled record of delivering value,” Bristow said. Bristow characterized the proposed Barrick/Newmont deal as a logical and long overdue imperative for shareholders that would be far superior to Newmont’s proposed acquisition of Goldcorp Inc., The expected Barrick/Newmont annual synergies would be 7.5 times larger than the quoted annual synergies for the Newmont/Goldcorp transaction. The Barrick/Newmont merger would result in an estimated 14 percent uplift in Newmont’s current Net Assest Value (NAV per) share,3 offering Newmont shareholders an investment in a company of a much higher quality with a better asset base, significant liquidity, a strong balance sheet and a proven management team. Similarly, the Barrick/Newmont merger is expected to result in a significant uplift in Barrick NAV per share from synergies, plus the opportunity for improvement in Barrick’s trading multiple from compelling financial, strategic, scale and liquidity advances. Bristow noted that the proposed merger would secure Nevada’s position as the world’s most prospective gold region. The efficient rationalization of the two companies’ assets would position the Nevada assets to deliver more than 20 years of profitable production for the benefit of shareholders, employees, local communities and the economy of Nevada. “Considered globally, the merger represents a radical and long-overdue restructuring of the gold industry, and a transformative shift from short-term survival tactics to the long-term creation of sustainable value,” Bristow said. The Barrick proposal to Newmont is for a merger in which each Newmont shareholder would receive 2.5694 Barrick shares per Newmont share, representing an at-market transaction based on the volume-weighted average trading prices of the shares of Barrick and Newmont on the New York Stock Exchange over the 20 trading days ended February 20, 2019, being the last trading day before the day on which news of this transaction was broadly leaked through the financial press. 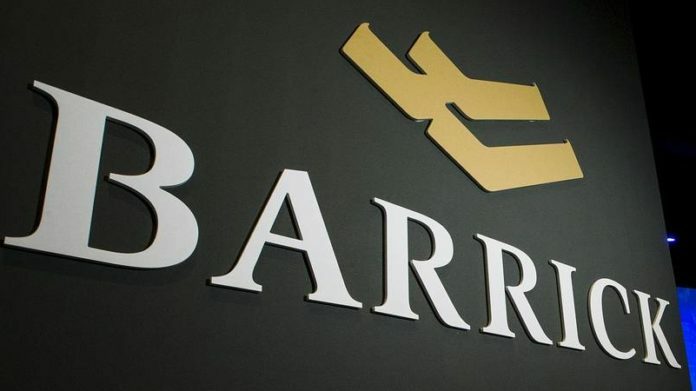 Barrick shareholders would own approximately 55.9 percent of the merged company and Newmont shareholders would own approximately 44.1 percent. The combined company intends to match Newmont’s annual dividend of $0.56 per share which, based on the proposed exchange ratio, will represent a pro forma annual dividend of $0.22 per Barrick share (compared to the current annual dividend of $0.16 per Barrick share). The Barrick proposal constitutes a significantly superior alternative to Newmont’s previously announced agreement to acquire Goldcorp. In addition to the strategic benefits of the proposal, the combination of Barrick and Newmont would be materially more accretive on all key financial metrics for Newmont shareholders than Newmont’s proposed acquisition of Goldcorp, including NAV per share and cash flow per share accretion estimated to be approximately 14 percent and 9 percent, respectively. The combined company will be run by a best-in-class management team with a track record of delivering shareholder value, as opposed to Newmont’s announced plan to appoint an untested CEO and management team after the proposed acquisition of Goldcorp. Barrick released a letter to Newmont’s Board of Directors so that both Barrick and Newmont stakeholders have the opportunity to evaluate the bid. In addition, on Friday a subsidiary of Barrick submitted a shareholder proposal, to be voted on at the next Newmont annual meeting of stockholders, to preserve the ability of Newmont’s shareholders to call a special stockholders meeting to ensure that if Newmont shareholders vote down the Goldcorp deal, they are in a position to take action that will allow them to claim their share of the missing billions.